Five healthcare organizations are launching a pilot blockchain program. On Monday, five national healthcare groups launched a pilot program to see if blockchain can improve their data quality. Humana, MultiPlan, Quest Diagnostics, Optum, and UnitedHealthcare will use this technology to improve accuracy, streamline activities, and create better access. Because blockchain should make the data more accurate, decisions based on that data can also be more timely. Blockchain is the technology used to secure records using cryptography. It is an open, distributed ledger that parties can use to record transactions. The five healthcare groups will use blockchain to synchronize provider data—not personal health information. Sharing personal information, CNET writes, may be one or two years away, but when that happens, blockchain will allow patients to view and share their entire health history. "We are seeing a great number of opportunities emerge as the healthcare and life sciences sectors begin to explore this technology," says Head of the Blockchain Initiative at Cisco Anoop Nannra, "Given the critical nature of this space, blockchain can help deliver not only next gen patient user experiences but also can be applied to the security and integrity of systems used to deliver these experiences." See also: What's on your desk, Anoop Nannra? Cisco is deeply embedded in both the healthcare and blockchain space. Recently, the company participated in the 2018 Healthcare Information and Management Systems Society (HIMMS) conference, where Cisco Global Healthcare and Life Sciences Director Barbara Casey, Exponential Medicine's Daniel Kraft and analyst Mike Feibus sat down and spoke about the future of digitizing healthcare. Blockchain, too, is an important burgeoning field for Cisco. The company's Hyperinnovation Living Labs group brought together customers and partners last year for a 48-hour supply chain and blockchain brainstorm. This lab provided the space for innovators to rethink the way the supply chain could operate. One of the huge success stories from this lab is Hopper, a startup that makes shopping for IT easy and secure. Nannra writes that blockchain is being used beyond cryptocurrency and in things like real estate transactions and autonomous vehicles. This widespread adoption needs technology standardization—something that Cisco has committed to by investing in two blockchain consortia; Enterprise Ethereum Alliance and Hyperledger. Along with these, Cisco is helping to create the Trusted IoT Alliance to accelerate the adoption of blockchain within the Internet of Things. The Trusted IoT Alliance recently announced the launch of testnet for blockchain in March, where software engineers can access an open-source test environment for blockchain solutions. This will help create best practices and visibility in the industry. With blockchain accelerating in healthcare, IoT, energy, and more—it's crucial that standardization and operational procedures are made. 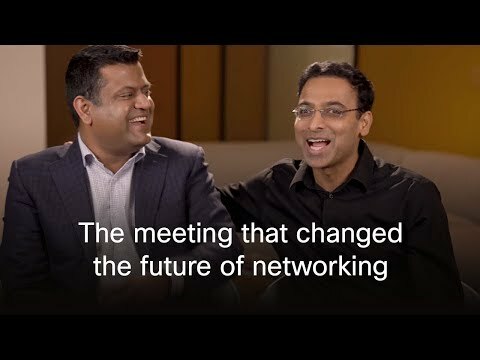 Cisco is doing just that—be sure to keep up with what the company is doing in the future of this advancing industry.